Did you know that pinched nerves send your body warning signs such as pain? Do not ignore them. In this article, we will examine ten things you can do at home to help relieve the pain associated with the pinched nerve. Do you want to learn how to treat a pinched nerve? Then keep reading to find out! Here we will go over ten things you can do at home to treat a pinched nerve. Did you know that bad posture could cause your pinched nerve? You want to make sure you are sitting correctly. Improve your usual sitting or standing position. By doing this, you will help lessen pain while also alleviating compression or constrictive of the affected nerve. If a pinched nerve is in your neck, make sure you have your chin in a neutral position. Do not keep it too far back or forwards. Make sure your shoulders are in an upright position. When you are sitting, keep your back straight. When walking or standing, make sure your body is upright and straight. Try to keep these postures often so you can help the pinched nerve. No matter the location or reason behind your pinched nerve, make sure you rest the area that has been affected. Resting should not be underestimated as part of the healing process. In fact, it is hugely important for your recovery. For example, a pinched nerve in a neck needs quite a bit of rest. Do not participate in activities like tennis or golf. Rest until the pain is gone. Also, try to sleep longer. When you are asleep, your body is given a chance to focus on healing. Perhaps use a neck brace while sleeping. This will help limit movement. You won’t risk more injury. Try sleeping on your back or side and not your stomach. If your pinched nerve is in your lower back, keep your legs rested a few inches when sleeping. Slip a pillow beneath them. Applying a cold compress to the pinched nerve is a fantastic way to relieve some of the pain temporarily and quickly. The cold temperature will numb the area. This will help with swelling, inflammation, and pain. To make an ice pack, merely put ice cubes in a plastic bag. Seal it and wrap it up with a towel. Place the pack on the area and keep it there for ten minutes at a time. You can repeat this cooling treatment every hour. Keep in mind that directly applying ice on the skin can trigger cold burns. Do not forget the towel and plastic bag. After experiencing the pinched nerve pain for twenty-four hours, it is now time to apply heat to the affected area. By using heat, you will help the muscles relax that are surrounding the nerve. This will improve the flow of blood to the area of the damaged nerve. Warm temperatures will speed up the healing process while also providing comfort. First, you will get a washcloth. Soak it in warm water, then squeeze out the excess. Place this washcloth on the sore area and keep it there for ten minutes. You can repeat this if you’d like. Another option is using a heating pad or hot water bottle. Did you know that Epsom salts give your body enough magnesium? This, in turn, helps heal and reduce nerve pain. Take an Epsom salt bath because your body will quickly absorb the magnesium. Epsom salts also have anti-inflammatory properties. This will help your tight muscles relax that are surrounding the pinched nerve. Only add one cup of Epsom salt to your warm bath water. Soak in the bath for twenty minutes. Do this twice a week until your symptoms reduce or disappear. 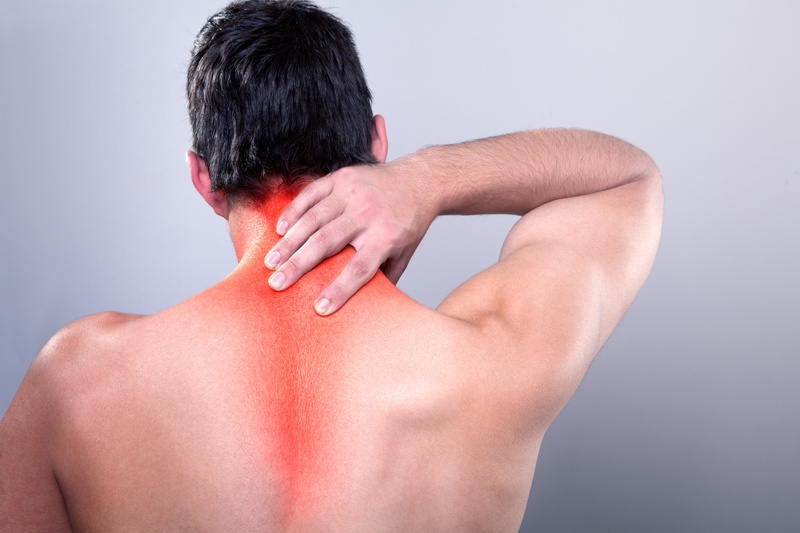 Another great way to reduce the pain from a pinched nerve is by massaging your muscles with warm oil. This will help activate pressure points. In turn, blood flow will improve, stiff muscles will relax, mobility improves, and the pain lessens. Try warm olive, mustard, or coconut oil along with a few drops of peppermint oil. Gently rub on the affected area and massage for ten minutes. Do two times a day until you see an improvement. You may need to ask for help if it’s in an area you can’t reach by yourself. Castor oil has potent anti-inflammatory properties. This makes it ideal for treating inflammation and pain created by a pinched nerve. Oil will help restore the nerve function. Create a castor oil pack. Use pieces of wool flannel fabric and soak them in warm castor oil. Squeeze out excess oil and place the material on the pained area. Use a piece of plastic wrap to cover the square. Then cover it with a thin towel. To keep the warmth of the oil, place a heating pad over the towel. You can do this every few hours a day. Do some gentle stretches and gain relief from your pinched nerve. By stretching, blood flow will increase, and your stiff muscles will relax. If the pinched nerve is around your neck, gently rotate it in a circular motion, both counterclockwise and clockwise. This movement will stretch out any irritated muscles. Shift your neck side to side and forward and backward. If the pinched nerve is in your arm, gently rotate your wrists and arms, counterclockwise and clockwise. Turmeric is one of those spices that is special. If can help relieve inflammation and pain connected with the pinched nerve. Its soothing properties help lessen the symptoms. Add a teaspoon of turmeric powder to coconut or almond milk. Bring to a boil and then add cinnamon. Strain the liquid and add honey. Taste this milk once or twice a day for a couple of weeks. These are alternative therapies that can treat a pinched nerve. They will relieve the pain while also restoring the nerve function. They stimulate certain spots on the body. This releases chemicals and allows the person to experience a change in their perception of pain. We hope you found this article helpful. Next time you experience a pinched nerve, remember these ten different tips on how to treat a pinched nerve. If the pain is continuing to persist, please contact us today to help. You may need to consider an epidural steroid injection or surgery.